This entry was posted on Sunday, April 25th, 2010 at 3:34 pm	and is filed under Video Tutorials. You can follow any responses to this entry through the RSS 2.0 feed. You can leave a response, or trackback from your own site. Thanks a lot Sir but one concern. What if i do not want to use DHCP. Because if i want to connect to Virtual machine through putty running on host OS The IP address will keep on changing(every time i reboot my Laptop) and that’s really irritating. 2. You did not configure a fixed IP address, whereas DHCP is most often not recommanded, even for tersting purpose. And consequently, what about a “remote” access (and/or remote Oracle installation as most often we are doing) ? 3. What about the package oracle-validated-1 (Base System/System tools) ? 4. What about the DVD instead of the CD from OEL installer ? 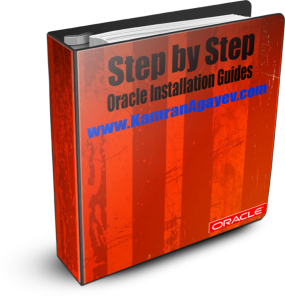 Hi Kamran, I am totally new to Oracle and found your blog trough google and i really believe that your blog is going to be an excellent help to me. To start with, shall I install Oracle on OEL or CentOS. Since I cant afford thr Oracle’s pad support, I thought of CentOS. With me, I have both OEL & CentOS DVD. What are your suggestions as you covered step by steps for both? – A professional advice is much appreciated. good tutorial. Appreciated and thanks for share knowledge. 1) How did you get VMWAre software ? Is it free ? If it’s not free then what other alternative do i have ? 2) Also how did you get VM ware Tools , is it free ? Thanks for the info. I have successfully installed OEL on VirtualBox , initially i ignored the packages which u mentioned in your video to un-check , and faced some issues, so later on i followed and checked/unchecked linux packages as u suggested in the tutorial. Since it’s pretty late over here , will do the db install tomorrow first thing in the morning. One thing i wanted to ask in your tutorial u have made some kernel paramter and env. variable changes, …..can u tell me the exact website url for that parameter text file or do i have to create that paramter file manually while watching video. Sorry i could not locate that text file on ur blog. 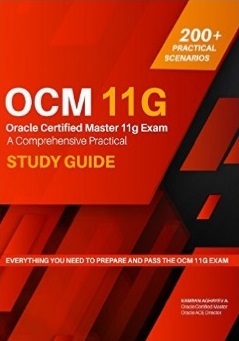 Thanks very much for ur video tutorial, it has helped me in installing oracle 10g successfully. God bless you. i wish you have a video tutorial on how to use ASM in 10g. Meanwhile, while i was typing this text, God laid heavy in my heart to tell you if you are not yet born again to give your life Jesus Christ. it might be that he so much love you. please give Him a trial. men oracle`in yuklenmesinde bir problemle qarsilasdim.xeta niye gore bas verdi tapa bilmedim. buraya qeder her sey normal geldi ama buraki scriptleri yazanda asagidaki kimi fayli tapa bilmir. bunun sebebi ne olabiler? 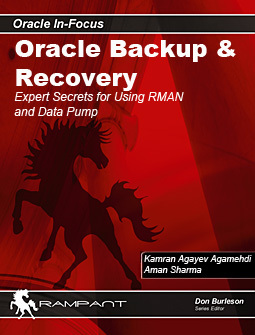 Changing permissions of /home/oracle/oraInventory to 770. Salam Kamran Muellim. Oracle DB’ni Mac OS X sistemine yuklemekde cetinlik cekirem. OEL yuklemesini sizin videonuz vasitesile edebildim. ama bu ondan ferqlidi yeqin ki. terminal vasitesile bezi deyisiklikler elemek lazimdi yuklemenin baslamasi ucun. komek etseniz cox minnetdar olaram. tesekkurler. sagolun . Elchin A. Made all pre requisite changes in Kernel and defined the Oracle directories as per OFA. But getting an error while trying to launch the installer file under Oracle db 10g r2 folder. 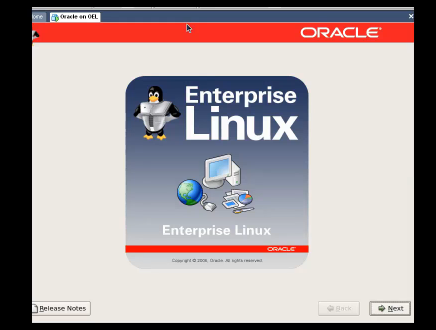 you have given step by step of installation of oracle10g on oracle linux 5.
but when i run ./runInstaller it fails saying prereqisits failed.i dont think oracle linux 5 dont support oracle 10g.but i dont know how you installed with out getting errors while giving demo in the video. can you please give the correct modifications to be done to run smooth running of installation. If you’ve performed all prerequisite steps which I’ve shown in this video tutorial, you should success. Thanku you for your video. Great!! I tried to install oracle 10g on OEL 4.4. I couldn’t install gcc RPM. In your video regarding RPM’s not loaded. Can u assist Is there any useful document to follow oracle installation on OEL 4.4 because i want to see how gcc RPM was loaded ???? Please clarify two doubts.. Nice creation video … Almost i followed your video i done it. 1. I successfully installed 10g R2 on OEL 4. I executed root.sh and oraintroot.sh scripts perfectly. then i rebooted my system from # user. IS it right method ??? as oracle user i could n’t reboot the ” SYSTEM ” why ??? I googled but i need good clarity Most of the sites displaying ” SAME ANSWER ” .Could you explain anyone simple way ??? what is this ” ERROR ” ??? How can i “RESOLVE” this ??? “Could not look up internet address for dhcppc1. This will prevent GNOME from operating correctly. I can’t create database manually as well as throough DBCA. What is the type of network device in your vmware machine? Have you configured anything?